In the early 20th century conversations at Canadian railway stations passed beyond daily schedules and fares and often turned towards horticultural concerns; soil quality, bedding plans and perennial favorites. 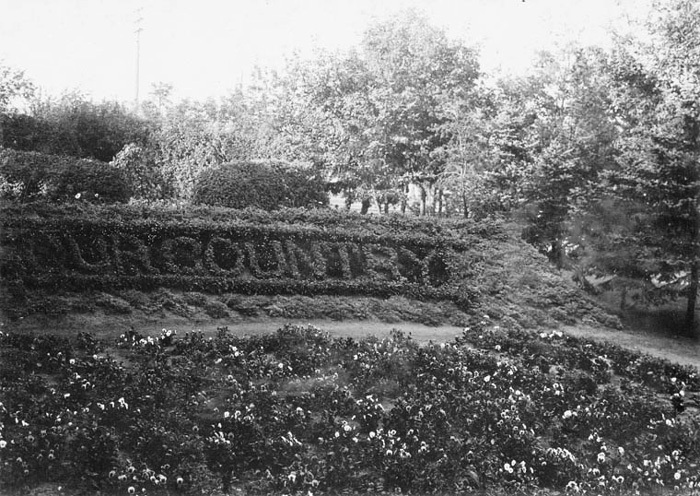 Along side station houses across the country, bright and abundant gardens were conceived and meticulously maintained by the railway company. The CPR gardening campaign began informally with station agents picking up spades and planting annuals to pass the time. 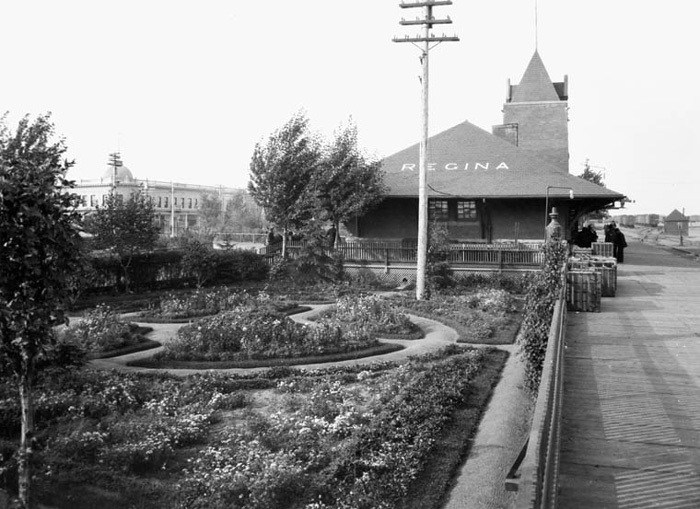 Soon, the growing interest led CPR to integrate garden design and upkeep into company policy, encouraging pleasing and elaborate station gardens. With the object of establishing permanent gardens throughout the system, it has been decided to supply perennial plants on request. These flowering plants remain alive in the ground through severe winters and most of them bloom early in the spring....A suitable collection for the average garden should include approximately five of each of the following plants: Achillea, Campanula, Sweet William, Larkspur, Columbine, Icelandic poppy, Pinks or Dianthus, Gaillardia, Bleeding Heart, Peony, Phlox, Golden Glow, Native hop. 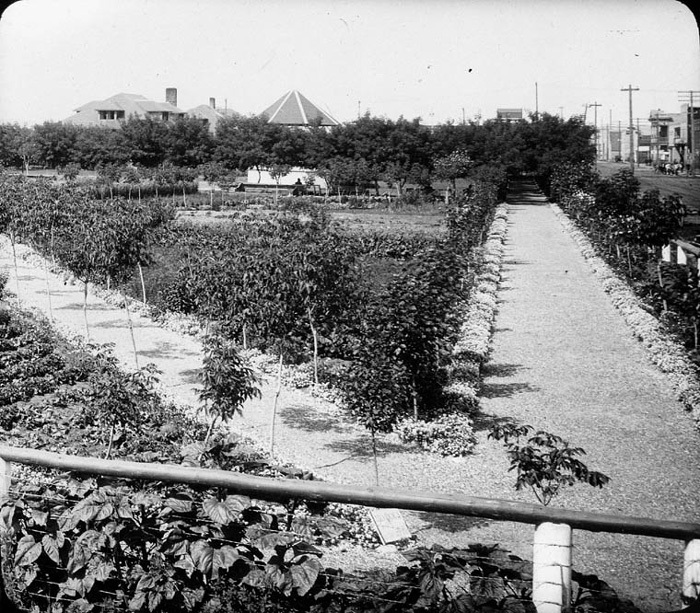 By the 1950’s railway gardens began to fade along with passenger rail traffic, and the CPR ceased to champion horticultural activities. Without sustained effort and interest, station agents no longer moonlighted as accomplished gardeners and the once verdant campaign came to a close. Note: Canadian garden historian Edwinna von Baeyer has written about Canadian gardening movements of the early part of the 20th century in her book, Rhetoric and Roses: A History of Canadian Gardening. 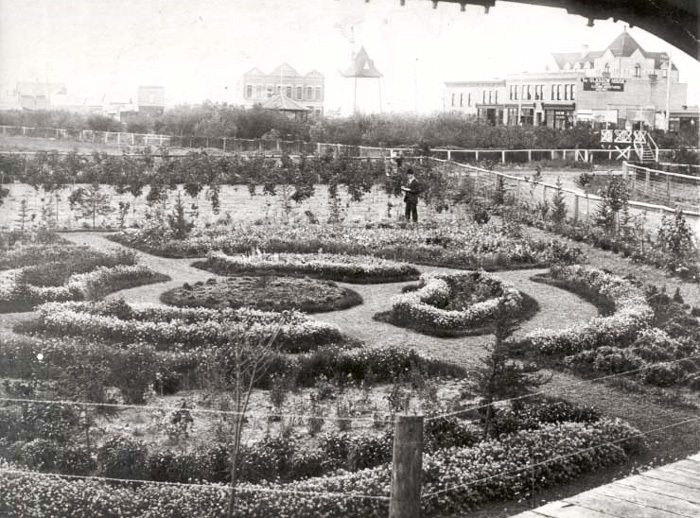 Besides the CPR gardening movement von Baeyer also profiles the early schoolyard gardens that took hold throughout many Canadian cities.